Does anyone remember the sigma values for the previous putative excesses? What do you think about the way the HEP community reacts to these situations? Was it right that the insignificant fluctuations resulted in so much speculation and so many papers? I wonder whether, in such situations, the HEP community is contributing nothing but noise to an otherwise successful experimental program at the LHC. Should HEP be restrained and wait for compelling evidence of a phenomena before presenting (myriad) explanations for it? It's not an easy call. On one hand, theorists' job is to interpret data, and initially the data were intriguing. On the other hand, due to the lack of serious BSM signals theorists give too much attention to small discrepancies and fluctuations. In this particular case, I think the approach was sane and no damage was done. It was always clear to everyone that the excess is not statistically significant and that the models explaining it are not compelling. 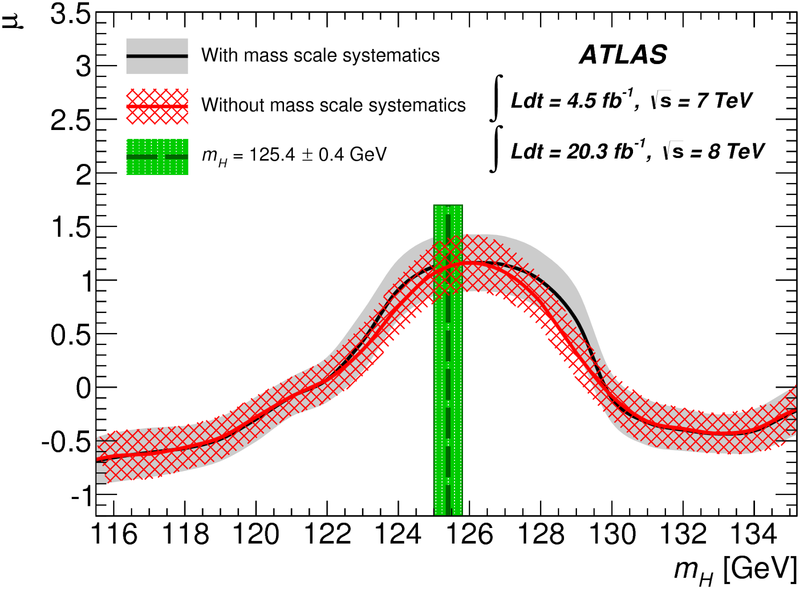 The excess was around 2 sigma in ATLAS and even smaller in CMS. Now I can't wait for the 2-sigma SUSY signal in 2015! I'll get to be excited about that for at least 6 months before it disappears. "I wonder whether, in such situations, the HEP community is contributing nothing but noise to an otherwise successful experimental program at the LHC." Probably true to some extent. Reminds one of Douglas Adams' "isn't it enough to see that a garden is beautiful without having to believe that there are fairies at the bottom of it too?". Only that he wrote it about religion, if I remember correctly. Right! And religion is defined by proudly believing in ideas which cannot be tested but are wholly embraced on faith alone. SUSY has too many possible channels to present any 2sigma result as relevant (given the number of SUSY papers, I'm sure there is more than one 2sigma signal in it). Certainly something that will get investigated with more data, but the number of "signals" is in line with the expectations for random fluctuations.